The U.S. White House’s proposed Presidential Committee on Climate Security (PCCS) is under attack – by the mainstream media, Democrats in Congress and military retirees, among others. The committee’s intended purpose is to conduct a genuine scientific assessment of climate change. But the assailants’ claim that the PCCS is a politically motivated attempt to overthrow science has it backwards. The Presidential Committee will undertake a scientifically motivated review of climate change science, in the hope of eliminating the subversive politics that have taken over the scientific debate. It’s those opposed to the committee who are playing politics and abusing science. The whole political narrative about greenhouse gases and dangerous anthropogenic (human-caused) warming, including the misguided Paris Agreement that the U.S. has withdrawn from, depends on faulty computer climate models that failed to predict the recent slowdown in global warming, among other shortcomings. The actual empirical evidence for a substantial human contribution to global warming is flimsy. And the supposed 97% consensus among climate scientists that global warming is largely man-made is a gross exaggeration, mindlessly repeated by politicians and the media. The 97% number comes primarily from a study of approximately 12,000 abstracts of research papers on climate science over a 20-year period. What is rarely revealed is that nearly 8,000 of the abstracts expressed no opinion at all on human-caused warming. When that and a subsidiary survey are taken into account, the climate scientist consensus percentage falls to between 33% and 63% only. So much for an overwhelming majority! Blatant exaggeration like this for political purposes is all too common in climate science. An example that permeates current news articles and official reports on climate change is the hysteria over extreme weather. Almost every hurricane, major flood, drought, wildfire or heatwave is ascribed to global warming. But careful examination of the actual scientific data shows that if there’s a trend in any of these events, it’s downward rather than upward. Even the UN’s Intergovernmental Panel on Climate Change has found little to no evidence that global warming increased the occurrence of many types of extreme weather. 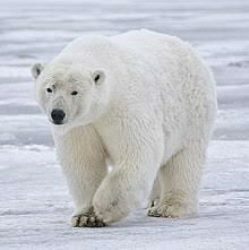 Another over-hyped assertion about climate change is that the polar bear population at the North Pole is shrinking because of diminishing sea ice in the Arctic, and that the bears are facing extinction. Yet, despite numerous articles in the media and photos of apparently starving bears, current evidence shows that the polar bear population has actually been steady for the whole period that the ice has been decreasing and may even be growing, according to the native Inuit. All these exaggerations falsely bolster the case for taking immediate action to combat climate change, supposedly by pulling back on fossil fuel use. But the mandate of the PCCS is to cut through the hype and assess just what the science actually says. A specific PCCS goal is to examine whether climate change impacts U.S. national security, a connection that the defense and national security agencies have strongly endorsed. A recent letter of protest to the President from a group of former military and civilian national security professionals expresses their deep concern about “second-guessing the scientific sources used to assess the threat … posed by climate change.” The PCCS will re-evaluate the criteria employed by the national agencies to link national security to climate change. The protest letter also claims that less than 0.2% of peer-reviewed climate science papers dispute that climate change is driven by humans. This is nonsense. In solar science alone during the first half of 2017, the number of peer-reviewed papers affirming a strong link between the sun and our climate, independent of human activity, represented approximately 4% of all climate science papers during that time – and there are many other fields of study apart from the sun. Let’s hope that formation of the new committee will not be thwarted and that it will uncover other truths about climate science. The sun gets short shrift in the computer climate models used to buttress the mainstream view of anthropogenic (human-caused) global warming. That’s because the climate change narrative, which links warming almost entirely to our emissions of greenhouse gases, trivializes the contributions to global warming from all other sources. According to its Fifth Assessment Report, the IPCC attributes no more than a few percent of total global warming to the sun’s influence. That may be the narrative but it’s not one universally endorsed by solar scientists. Although some, such as solar physicist Mike Lockwood, adhere to the conventional wisdom on CO 2 , others, such as mathematical physicist Nicola Scafetta, think instead that the sun has an appreciable impact on the earth’s climate. In disputing the conventional wisdom, Scafetta points to our poor understanding of indirect solar effects as opposed to the direct effect of the sun’s radiation, and to analytical models of the sun that oversimplify its behavior. Furthermore, a lack of detailed historical data prior to the recent observational satellite era casts doubt on the accuracy and reliability of the IPCC estimates. I’ve long felt sorry for solar scientists, whose once highly respectable field of research before climate became an issue has been marginalized by the majority of climate scientists. And solar scientists who are climate change skeptics have had to endure not only loss of prestige, but also difficulty in obtaining research funding because their work doesn’t support the consensus on global warming. But it appears that the tide may be turning at last. Judging from recent scientific publications, the number of papers affirming a strong sun-climate link is on the rise. From 93 papers in 2014 examining such a link, almost as many were published in the first half of 2017 alone. The 2017 number represents about 7% of all research papers in solar science over the same period (Figure 1 here) and about 16% of all papers on computer climate models during that time (Figure 4 here). This rising tide of papers linking the sun to climate change may be why UK climate scientists in 2015 attempted to silence the researcher who led a team predicting a slowdown in solar activity after 2020. Northumbria University’s Valentina Zharkova had dared to propose that the average monthly number of sunspots will soon drop to nearly zero, based on a model in which a drastic falloff is expected in the sun’s magnetic field. Other solar researchers have made the same prediction using different approaches. Sunspots are small dark blotches on the sun caused by intense magnetic turbulence on the sun’s surface. Together with the sun’s heat and light, the number of sunspots goes up and down during the approximately 11-year solar cycle. But the maximum number of sunspots seen in a cycle has recently been declining. The last time they disappeared altogether was during the so-called Maunder Minimum, a 70-year cool period in the 17th and 18th centuries forming part of the Little Ice Age. While Zharkova’s research paper actually said nothing about climate, climate scientists quickly latched onto the implication that a period of global cooling might be ahead and demanded that the Royal Astronomical Society – at whose meeting she had originally presented her findings – withdraw her press release. Fortunately, the Society refused to accede to this attack on science at the time, although the press release has since been removed from the Web. Just last month, Zharkova’s group refuted criticisms of its methodology by another prominent solar scientist. Apart from such direct effects, indirect solar effects due to the sun’s ultraviolet (UV) radiation or cosmic rays from deep space could also contribute to global warming. In both cases, some sort of feedback mechanism would be needed to amplify what would otherwise be tiny perturbations to global temperatures. However, what’s not generally well known is that the warming predicted by computer climate models comes from assumed water vapor amplification of the modest temperature increase caused by CO 2 acting alone. Speculative candidates for amplification of solar warming involve changes in cloud cover as well as the earth’s ozone layer. The multiple lines of evidence which do exist are simply evidence that the world is warming, not proof that the warming comes predominantly from human activity. The supposed proof relies entirely on computer models that attempt to simulate the earth’s highly complex climate, and include greenhouse gases as well as aerosols from both volcanic and man-made sources – but almost totally ignore natural variability. So it shouldn’t be surprising that the models have a dismal track record in predicting the future. Most spectacularly, the models failed to predict the recent pause or hiatus in global warming from the late 1990s to about 2014. During this period, the warming rate dropped to only a third to a half of the rate measured from the early 1970s to 1998, while at the same time CO2 kept spewing into the atmosphere. 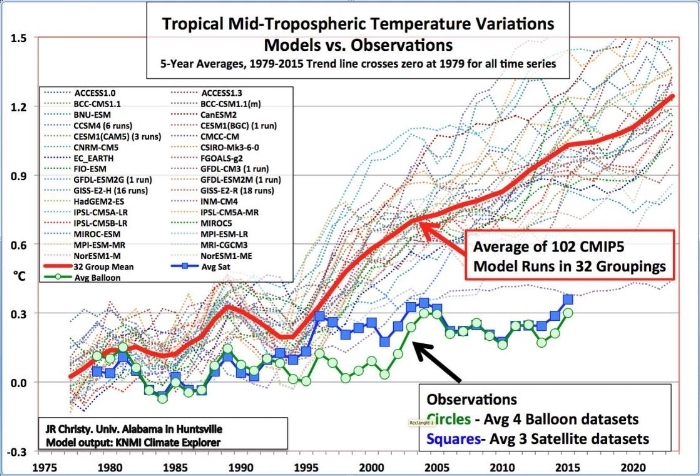 Out of 32 climate models, only a lone Russian model came anywhere close to the actual observations. Not only did the models overestimate the warming rate by two or three times, they wrongly predict a hot spot in the upper atmosphere that isn’t there, and are unable to accurately reproduce sea level rise. Yet it’s these same failed models that underpin the whole case for catastrophic consequences of man-made climate change, a case embodied in the 2015 Paris Agreement. The international agreement on reducing greenhouse gas emissions – which 195 nations, together with many of the world’s scientific societies and national academies, have signed on to – is based not on empirical evidence, but on artificial computer models. Only the models link climate change to human activity. The empirical evidence does not. Proponents of human-caused global warming, including a majority of climate scientists, insist that the boost to global temperatures of about 1.6 degrees Fahrenheit (0.9 degrees Celsius) since 1850 comes almost exclusively from the steady increase in the atmospheric CO2 level. They argue that elevated CO2 must be the cause of nearly all the warming because the sole major change in climate “forcing” over this period has been from CO2 produced by human activities – mainly the burning of fossil fuels as well as deforestation. Indeed, anyone disputing the conventional wisdom is labeled a “denier” by advocates of climate change orthodoxy, who claim that global warming skeptics are just as anti-science as those who believe vaccines cause autism. The much ballyhooed war on science typically lumps climate change skeptics together with creationists, anti-vaccinationists and anti-GMO activists. But the climate warmists are the ones on the wrong side of science. Like their counterparts in the debate over the safety of GMOs, warmists employ fear, hyperbole and heavy-handed political tactics in an attempt to shut down debate. 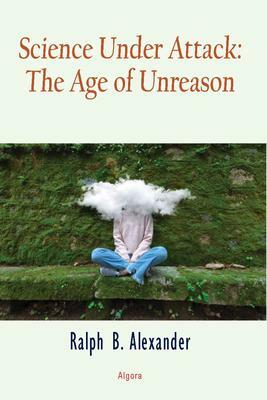 Yet skepticism about the human influence on global warming persists, and may even be growing among the general public. In 2018, a Gallup poll in the U.S. found that 36% of Americans don’t believe that global warming is caused by human activity, while a UK survey showed that a staggering 64% of the British public feel the same way. And the percentage of climate scientists who endorse the mainstream view of a strong human influence is nowhere near the widely believed 97%, although it’s probably above 50%.